Kids Helping Kids in Haiti DONATE NOW! On January 12th, 2010 a massive earthquake has shaken the Haitians enormously! Thousands of people are confirmed dead and many more are severely wounded. The Lingua Franca Foundation is launching Kids Helping Kids in Haiti in schools to help the helpless Haitians to cope with the disaster. 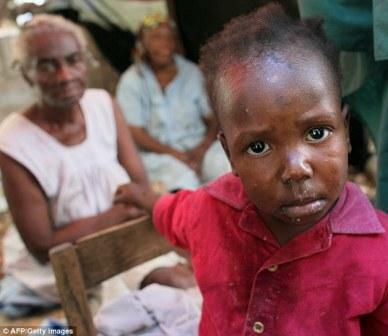 Haiti is the poorest country in the Western hemisphere, and struggles from endemic poverty, food shortages and violence. It has suffered from many recent natural disasters including serious hurricanes and storms in 2008. Teach our kids compassion and humanity ! Please donate to help us to respond to this disaster. Please click here to donate today. Your donation can save lives. This entry was posted in Kids 4 Kids, Projects and tagged appeal, child, children, disaster, donation, earthquake, family, Haiti, humanity, Kids, Kids 4 Kids, Kids for Kids, project, safety, school. Bookmark the permalink.